Andy Warhol was an American artist who was a leading figure in the visual art movement known as pop art. Andy Warhol’s works explore the relationship between artistic expression, celebrity culture and advertisement that flourished by the 1960s until the late 80’s. 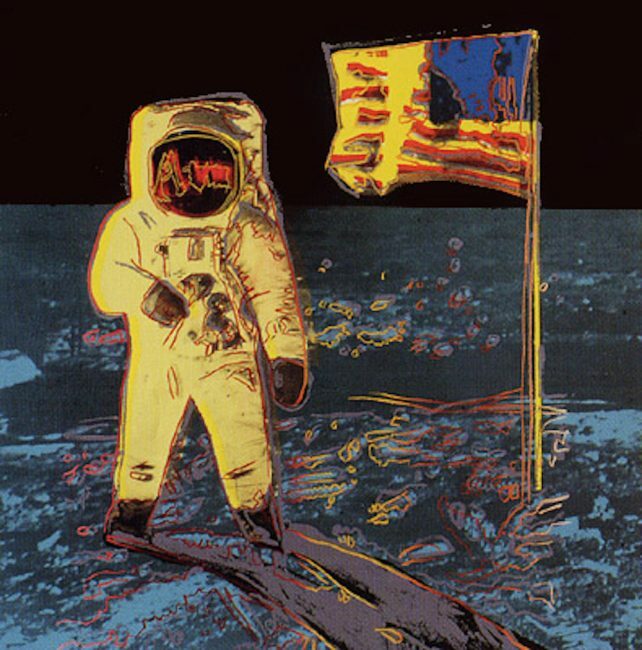 The limited amount of series following up to his death, Beethoven, Hans Christian Andersen, Lenin, Moonwalk, and Camouflage, that are highly sought after for avid Warhol collectors. 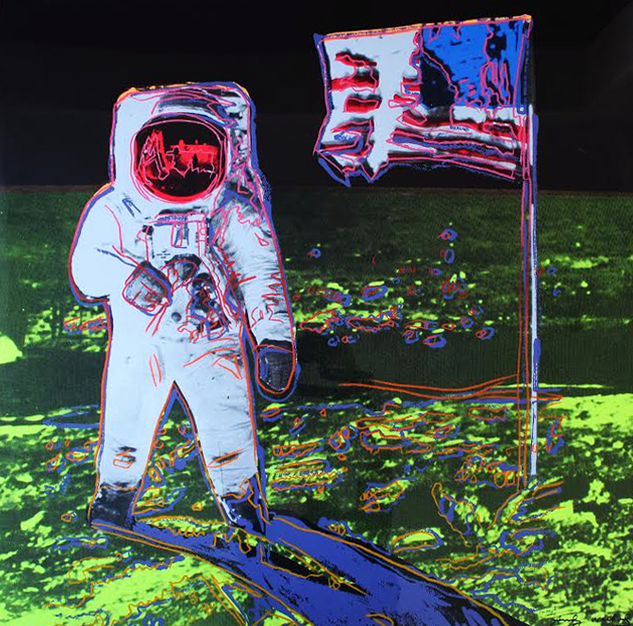 As one of Andy Warhol‘s last works, Moonwalk, illustrates the forever iconic moment in history when man first stepped on the moon in 1969. Here, we see the ‘visor shot’ of moonwalker Buzz Aldrin, as photographed by his fellow Apollo 11 astronaut Neil Armstrong. Never signed, there are two regular edition versions, one in yellow, one in pink. There were also 66 trial proofs, each unique. Guy Hepner Contemporary Art Gallery is pleased to present these precious works of art that have hung in the home of Buzz and Lois Aldrin home since 1988. Originally, Warhol began working on a new series entitled “The History of TV,” highlighting images of iconic televised moments, which would have included ones of I Love Lucy and the Beatles’ famous performance on the Ed Sullivan Show. 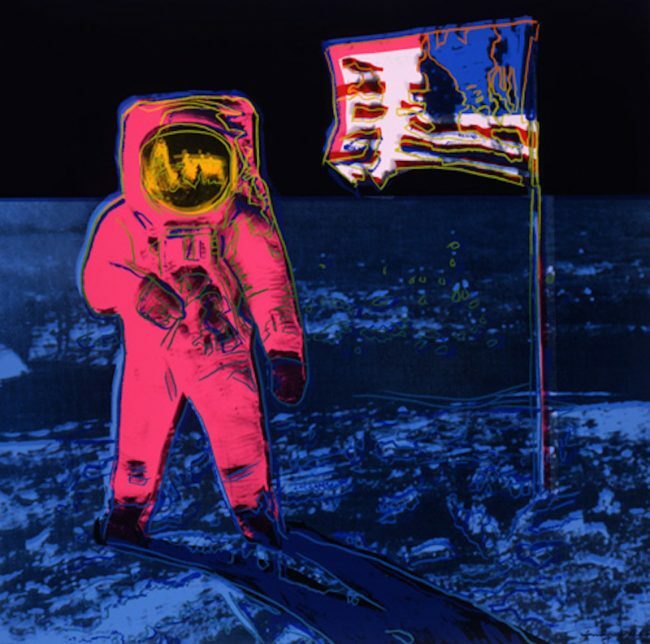 The only work ready to be printed by the time of Warhol’s untimely death in February 1987 was Moonwalk. It was one of the last of the great touchstones of 20th Century culture that Warhol turned into masterpieces of Contemporary art. 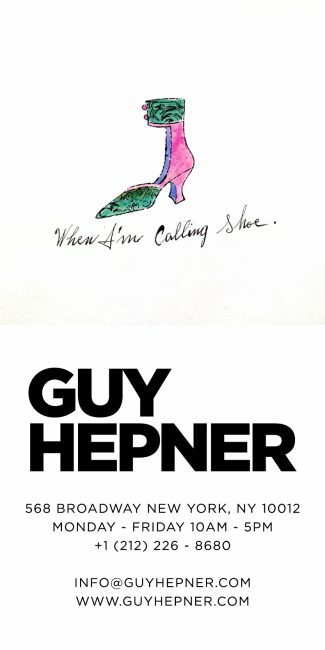 Guy Hepner Contemporary Art Gallery in New York City in pleased to present artist Andy Warhol artwork, screen prints, Marilyn, Soup Cans, paintings, drawings, ads, originals. Inquire on prices to buy Andy Warhol art for sale.